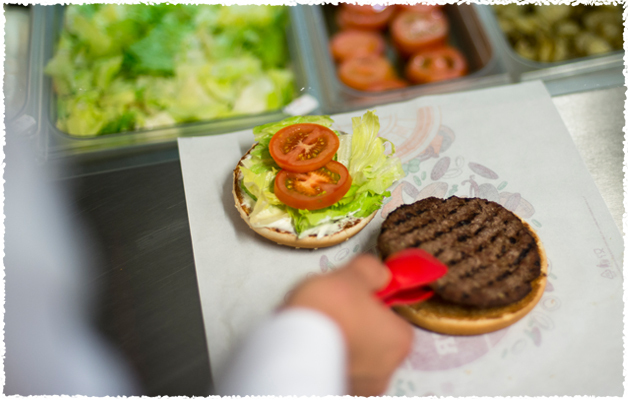 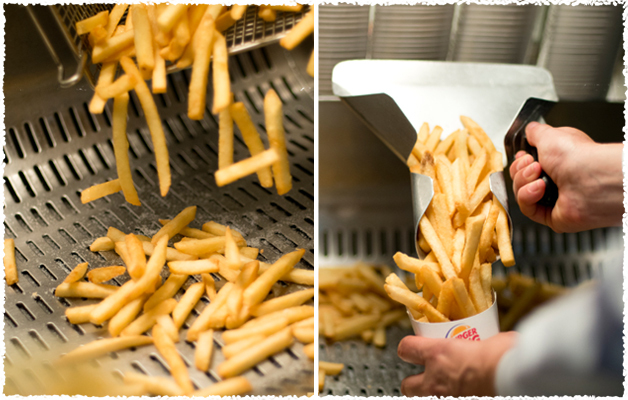 From the selection of fresh ingredients up to the prepared fresh for you WHOPPER® Sandwich - take a look over the shoulder of our expert preparing your food. 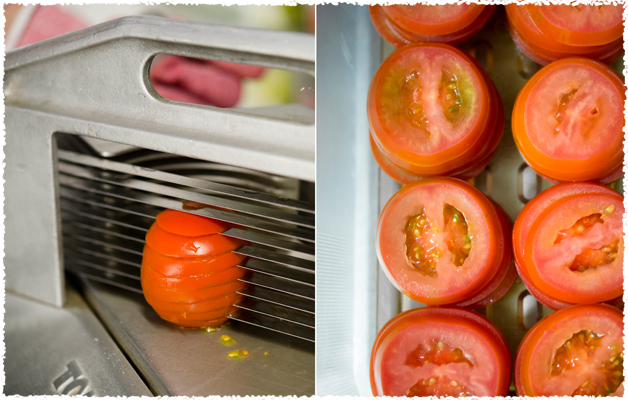 Our tomatoes are full of flavor and freshly sliced in our restaurants. 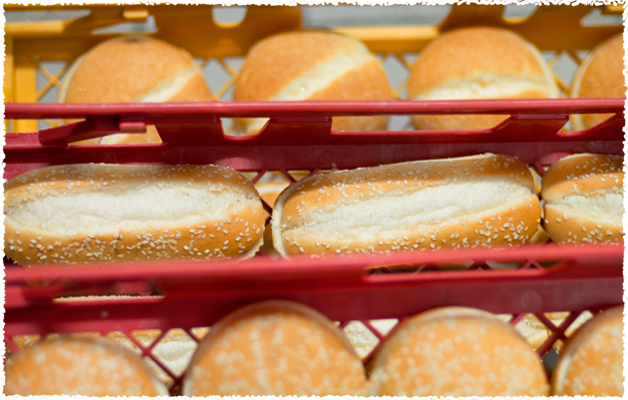 Buns are delivered to our restaurants from bakeries and we toast them to order for you. 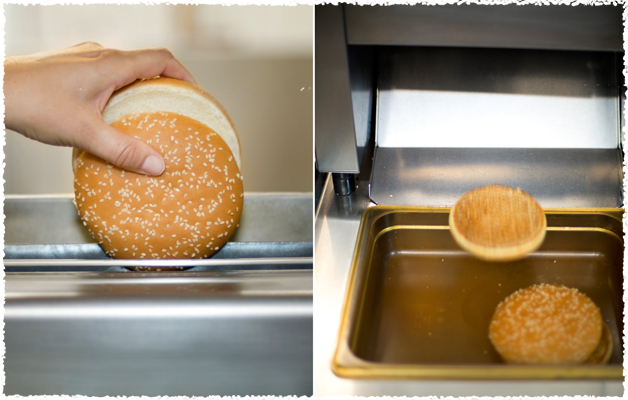 This helps ensure they are warm for every sandwich. 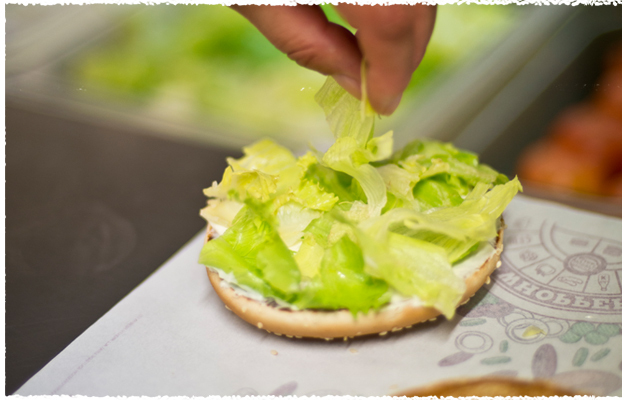 After that, freshly cut iceberg lettuce is placed evenly on top. 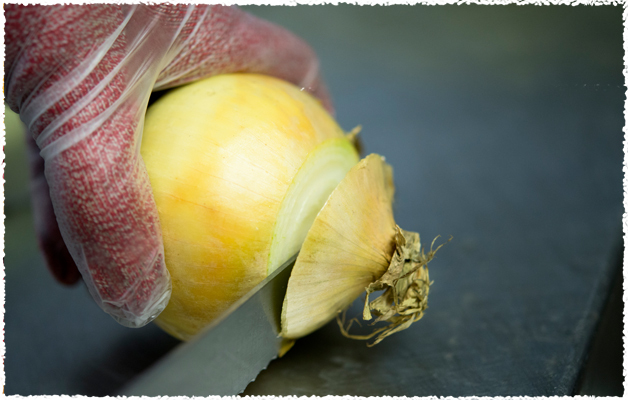 Ketchup is squeezed by hand in a spiral from the outside to the center before we add fresh onions on top. 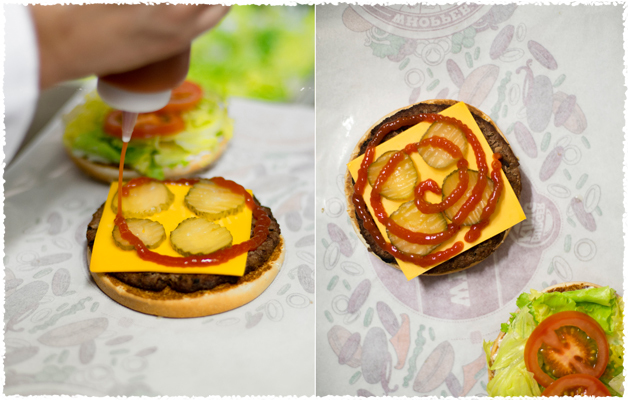 100% flame-grilled beef, freshly sliced onions and tomatoes, along with other delicious ingredients, and your WHOPPER® Sandwich has been prepared.